Having conducted a trial workshop on the subject of wind, we had a good understanding of the material that had to be delivered. That said, having just got to the halfway point of a house renovation and only just moving back, I personally felt less than fully prepared. Nonetheless, we did have an excellent PPL PWR team! Following a few last minute preparations; 2D printing paper materials, 3D printing wind turbines and blades, we meet at the local café beforehand. With only an hour to go we were filing down 3D models, going through the presentation, blowing up inflatable globes and suns and settling nerves while also encouraging each other. 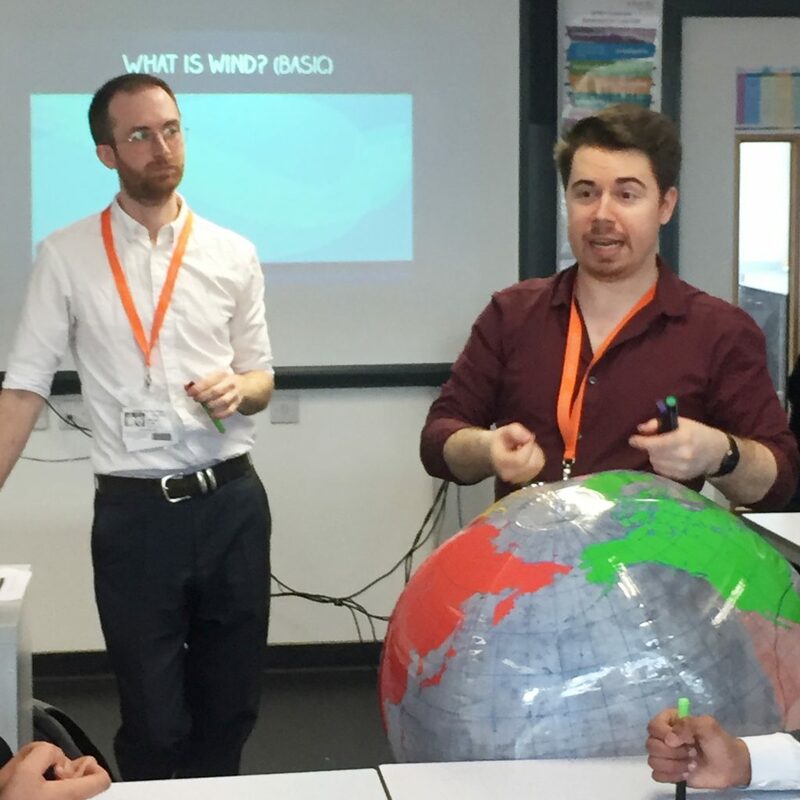 So, Adam, Lucia, Josh and Berni rocked up to the school…giant globe in hand, and it took a while to get through security, not that there was anything untoward. We had 10 students in total. No doubt very enthusiastic about the lesson ahead. He’s got the whole world, round his neck! We started by looking at the wind and where it comes from i.e the Sun. The globe was used for this and some slides showing the theory. Eyes glazed slightly at this point, we certainly need to find fun practical ways of demonstrating the Sun’s effect on the wind. Various drawing exercises and the globe were good to start conversations, though. Then we moved on to aerodynamics. We had printed lots of 3D models to study and understand how aeroplanes work. 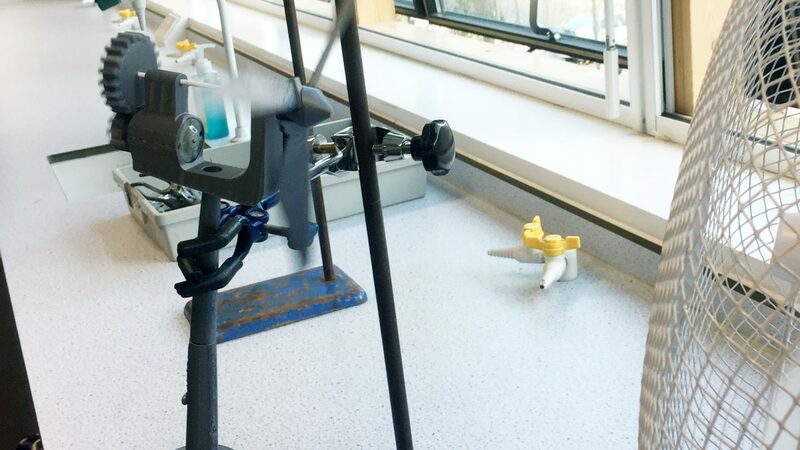 Using drawings, the students got a better understanding of how lift and drag are essential for flight and to create energy using wind turbines. Unfortunately, there was no time for the cone drop test to show aerodynamics further. Now it was about making a functioning wind turbine. We learnt a lot from the last trial workshop and came equipped with instructions. 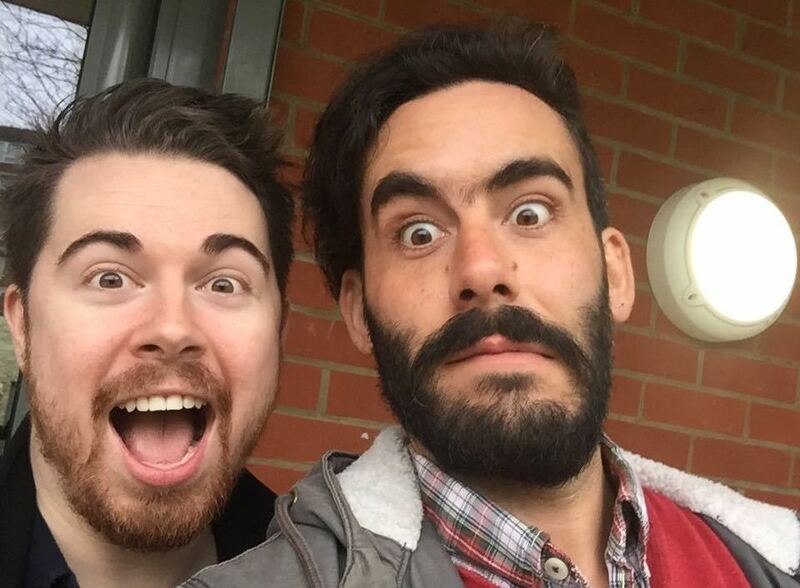 Plus, we had a really good idea of what to expect. 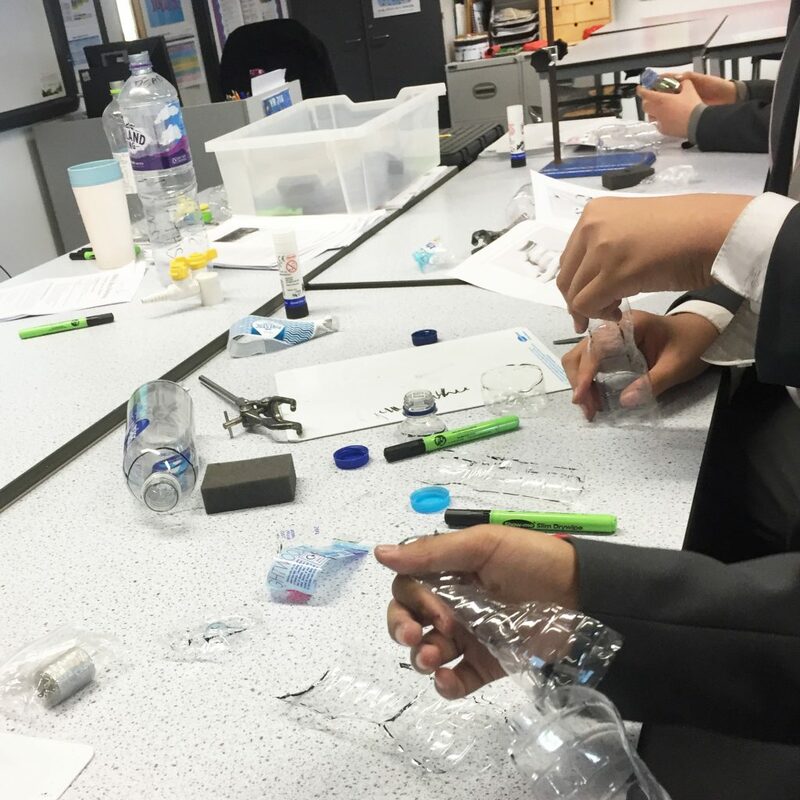 Some students started cutting bottles before thinking about how to carry out the activity and it was a steep learning curve, leading to some very small turbines. Some choose really challenging designs and others followed the instructions to the letter. 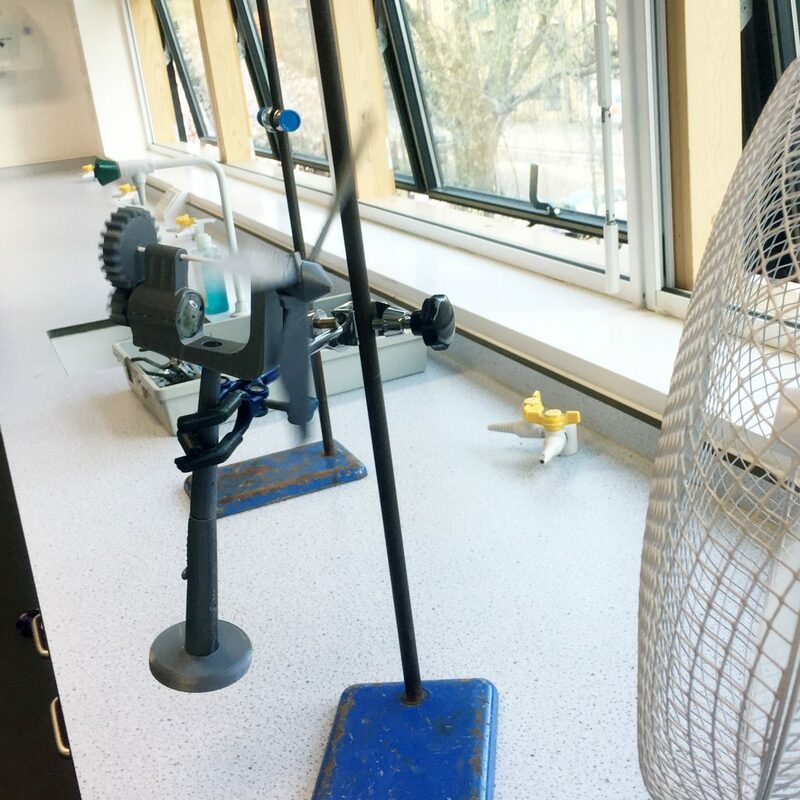 Nevertheless, everyone in the class successfully completed a wind turbine and made it spin in front of a fan! Often learning a valuable lesson about aerodynamics as most of the turbines did not work at the first attempt, each of the blades needed to be bent a little using the heat of a candle to make them more aerodynamic. It worked a trick every time! Those who ventured for a much less conventional turbine in the form of a vertical axis wind turbine were very successful and theirs actually worked first time. They had to be resourceful and use the inside of a pen as an axle, we were really impressed. We finished on how to generate electricity and had a short discussion of how electromagnetism and generators work. Time was very limited coming to the end of the class. This is something that we can expand on in the future and hopefully have a practical demonstration with coils of copper wire and magnets. 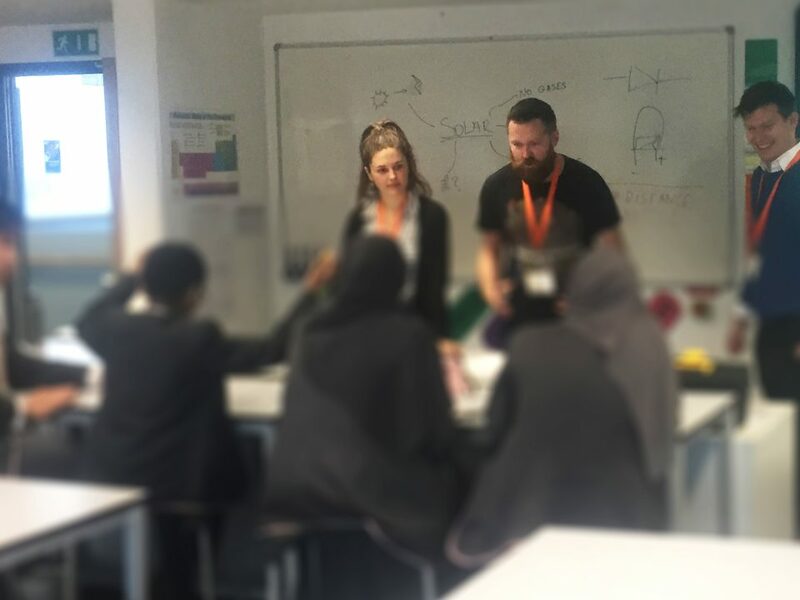 There was just time to introduce the App that we’ve been developing recently, and set them a short quiz on what they had learnt that day. During the debrief after the workshop we all agreed that it went pretty well. We were happy that the class were very engaged and seemed to enjoy the content. We were missing a few pieces of equipment on the day, though this did not affect the learning objectives. The number one thing to work on for next time is some more interactive experiments in the earlier part of the workshop.